I routinely order from ABE Books, an online database of used book dealers owned by Amazon. More and more, the used books I get in the mail are former library books. Recently I ordered 11 books on 19th century Boston and several of them have been culled from libraries around the country. This is tremendously sad, much like the burning of the library at Alexandria in classical times. Now I’m not saying people are stealing library books and selling them, although this does happen. No, librarians are going through their collections and pulling titles that seldom get checked out and selling them. They are thinning their shelves to make room for newer books. Many of these ex-library books have the official word DISCARDED stamped on the inside. Today I got a book The Legacy of Josiah Johnson Hawes: 19th Century Photographs of Boston edited by Rachel Johnston Homer. It’s a discard from the Los Angels County Public Library that was first published in 1972, and has 5 returned date stamps: Jul 10, 74, May 28, 1976, Oct 27, 1981, Jul 26, 1989, Aug 8, 1989. There’s no telling when it was actually discarded, but that possibly means it’s been 23 years since someone has wanted this book. It never was a popular book, but is that any reason to remove it from the library? It has photographs of old Boston that few people will ever see, making it a treasure. Libraries should be repositories of knowledge. People complain that the Internet is no substitute for libraries, but have libraries given up? Has the Internet replaced libraries? I used to work in the Periodicals Department of a university library back in the 1980s and it had a staff of about 15 people. There was also a Microforms Department that had a slightly smaller staff. Both departments were always swamped with students doing their assignments which required looking up articles in bound and loose periodicals, newspapers, or from microfilm. Today both of those departments are without staff, and are self-service with a little help from Reference because there’s no demand. Students do their research online. I always thought the Memphis Public Library SF collection was preserving a historical record of science fiction for future generations. I guess not. 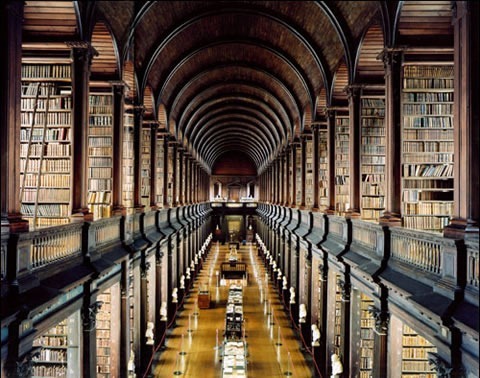 If libraries aren’t storehouses of knowledge, then where does the task go? What if civilization collapses? I can do a fair amount of research on the Internet, but copyright and paywalls keep me from seeing most serious content. It used to be if you wanted to know something you went to the library. What if what you want to know is no longer there? “They are thinning their shelves to make room for newer books.” In fact, they are making room for computers, I have seen this. That true – public libraries are a central source of computers for poor people. I don’t begrudge them that space. Libraries hates discarding books. They have no choice. They are, in fact, making room for newer books, as well as for computers. Libraries in most areas of this country have to justify their existence every day. While you lament the discarding of books, there are ten people (or more) complaining about their taxes being used to warehouse books that nobody reads. If libraries hang on to every book they purchase, they will need to add space to their facility at increasingly shorter intervals. That ain’t gonna happen for most systems. The library I work for just completed a $400,000 renovation. What we needed was space, desperately. What we got was new carpet, a new roof, and yes, more computers. Why? Because that’s what the tax paying public wants and that’s all the overseeing agencies that dole out those funds would support. If you want libraries to serve as true repositories of books, real paper books, you have to make that known to the people who control the cash, not to the libraries. The libraries would like nothing better. That’s true Mike. I’m not blaming the librarians. It’s our society as a whole that’s at fault. If we spent the kind of money for sports arenas as we do for libraries, we’d have giant spaces for books. I guess our society values fighting over a ball more than preserving knowledge. But we could do other things too, that would be far cheaper. Change the copyright laws so that books go into public domain sooner, that way they could be digitized and put into virtual libraries. Or they could change the nature of libraries. Allow them to digitize any book older than 25 years, but require a checkout fee that goes to the author. Actually I think such a fee should exist for new books. Why should people read bestsellers for free. Why not pay 25 cents to the author. Actually libraries could charge check-out fees to cover the cost of buying new books and multimedia, and part of that fee go to the author and publisher. Public Libraries are not repositories of knowledge they are a place for the public to get books. Academic Library’s Special Collections on the other hand are repositories of information. Once something is in there it better stay there and preserved.